Goodreads: Seraphine Mayes and her twin brother Danny were born in the middle of summer at their family’s estate on the Norfolk coast. Within hours of their birth, their mother threw herself from the cliffs, the au pair fled, and the village thrilled with whispers of dark cloaks, changelings, and the aloof couple who drew a young nanny into their inner circle. Kritters Thoughts: A gothic mystery thriller that was a good read in the cold winter season. Twins Seraphine and Danny were born and shortly thereafter their mother committed suicide. When their father passes away they are cleaning out his things and stumble upon a photo that leaves Seraphine questioning everything that the adults in her life have told her, so she must do some sleuthing and get to the bottom of it all. This was one of those books that I loved the atmosphere and the story, but there characters were just ok for me. They were fully realized and written ok, but I just couldn't get to the point of liking any of them; this affects my reading, but I can still like a book despite not liking a character. The atmosphere of this book is what really sold me on it. On the coast of England with cliffs and houses with mystery areas, the author made the setting come to life and I fell in love with how she described where all of this drama took place. The story/plot were great. There are twins in a family lineage where twins have been doomed to not survive. There is a nanny that you can't trust from day one. There is a mother who dies within hours of giving birth which seems weird and on and on. The drama was packed from the beginning to the end and it made the story read so quickly. 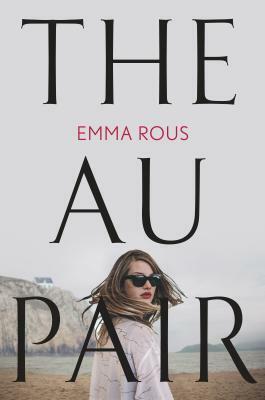 This was a solid debut from Emma Rous and I would read more from her.